Divide 1 container yogurt between 2 (8-oz) parfait glasses or dessert dishes. 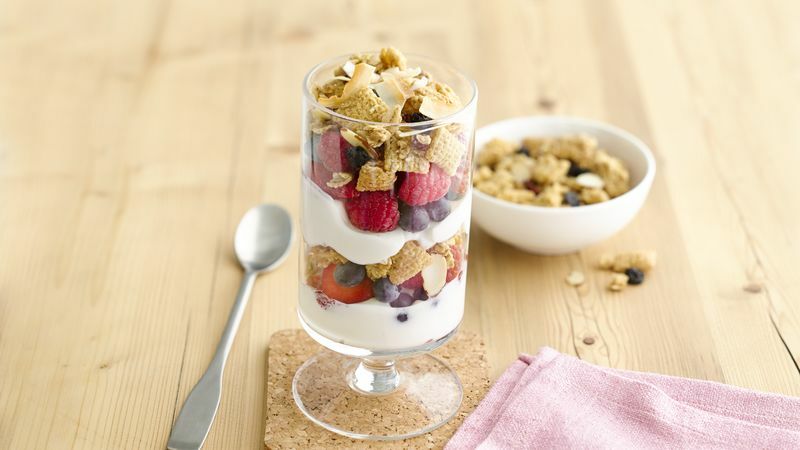 Top each with 1/4 cup of the berries and 1/4 cup granola. Repeat with remaining yogurt, berries and granola. Sprinkle coconut over each parfait. Serve immediately. To toast coconut, heat in ungreased heavy skillet over medium-low heat 6 to 14 minutes, stirring frequently until browning begins, then stirring constantly until golden brown. Feel free to use whatever berries are your favorite. Choose a combo, or stick with one kind. It's up to you.